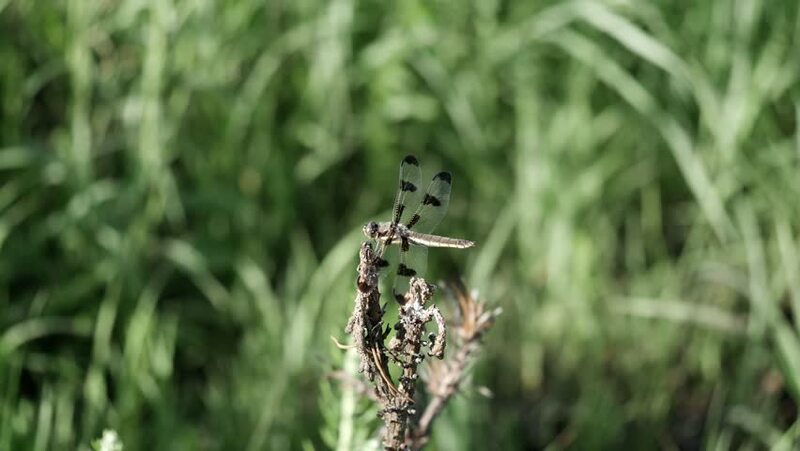 12 spotted skimmer dragonfly flies away from its sunny prairie perch. 4k00:47Skimmer dragonfly leaves perch and then returns to the very same twig. hd00:27Great spotted woodpecker excavating a nest hole on birch stump.